Dribbble houses some of the best design work on the Web, period. I’ve whiled away countless nights exploring the ‘shots’ that its community have posted on the site, but there’s a problem. 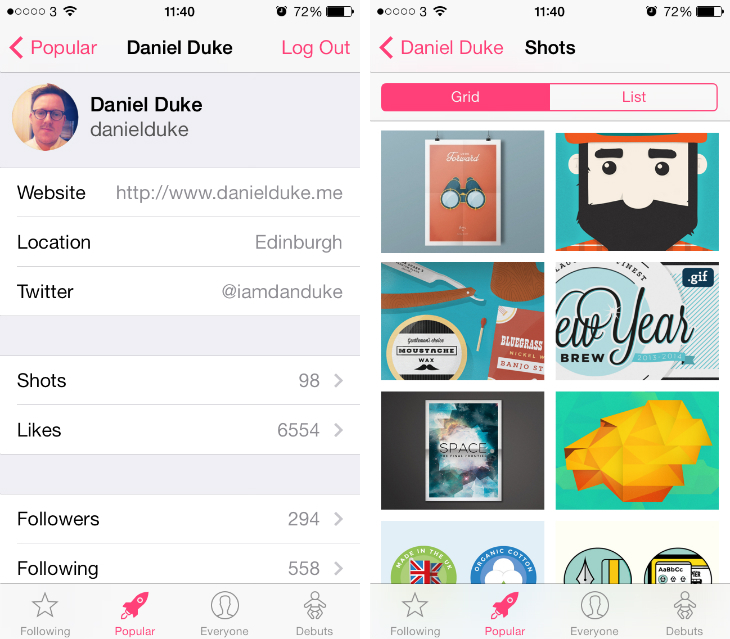 The team behind Dribbble is yet to build an official iOS or Android app. A handful of third-party alternatives have tried to fill the void, including Hooops, Layup, and Paintball, but they’ve often lacked the design or features to do the original Dribbble site justice. Now there’s a new kid on the block, called Basket. 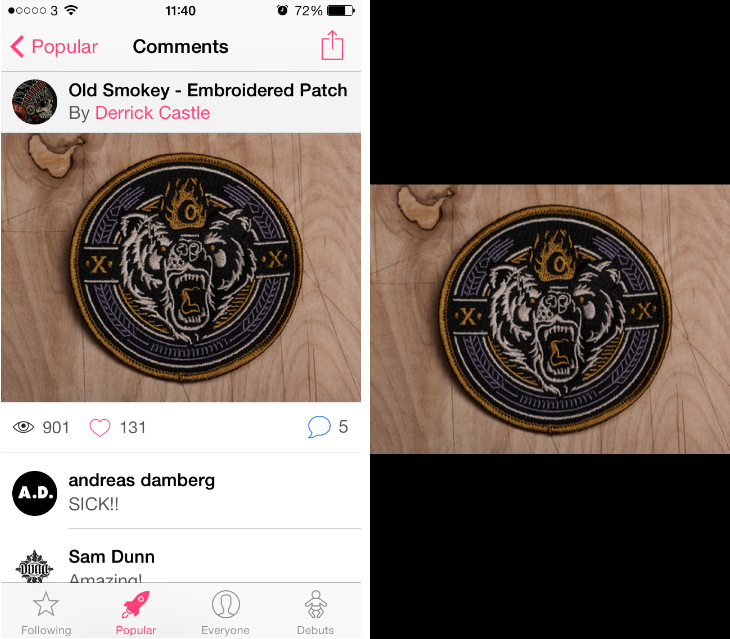 Basket repackages the shots on Dribbble into a mobile-friendly feed, similar to Instagram or Vine. Each upload is displayed in a grid or vertical list, which you can toggle between using the tabs at the top of the page. The former only shows the shot itself, while the latter also notes the user who uploaded it and the number of views, likes and comments. It’s not a particularly original design, but it’s functional and easy on the eye. At the bottom of the screen, there are a few shortcuts for filtering Basket’s feed based on what’s popular, recent uploads and new Dribbble recruits. They’re all fairly self-explanatory and work as you would expect. When you tap on a specific shot, you’ll be able to see all of the comments submitted by other users and inspect shots using its full-screen viewing mode. With a connected account, users can access their Following feed and review some of their basic profile information, such as their location, Twitter handle, shots and likes. At the moment, however, it’s not possible to actually interact with the Dribbble site. That means users are unable to upload new shots, or like and comment upon other people’s work. The missing functionality creates a disconnect throughout the app, although it should be noted that this is because of Dribbble’s API limitations, rather than a conscious decision by the developer. Dribbble has a small development team, but hopefully they’ll be able to fix this in the near future. Basket is one of the better iOS Dribbble clients that I’ve stumbled across. Paintball is my personal favorite, but I would certainly recommend Basket for anyone who is looking for a solid alternative. 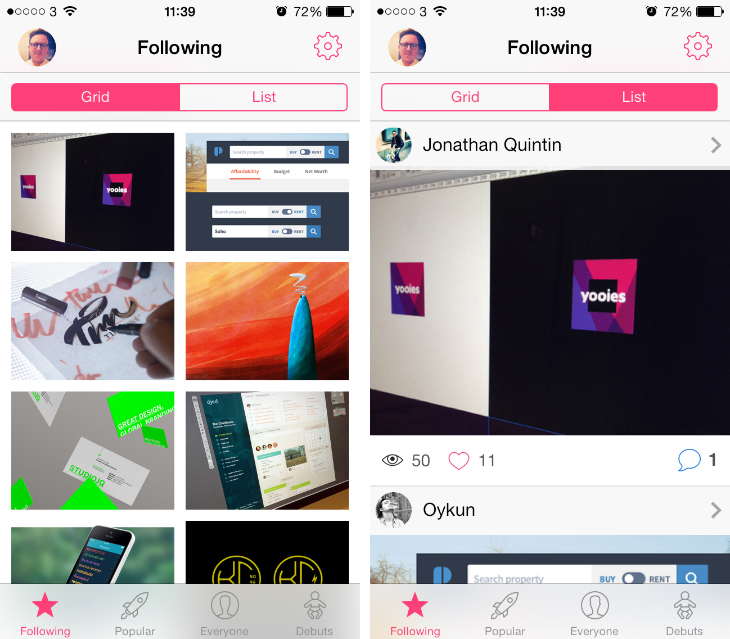 Dribbble, take note: If you ever decide to build an official iOS app, this is what it should like. The app is well-designed and offers all of the features currently offered by the Dribbble API in a really tight package. If you want to browse the latest and greatest shots on the move – this is 99 cents well spent.